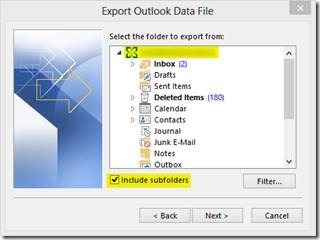 Information in Microsoft Outlook 2010 can be exported to an Outlook Data File (.pst). This provides a way transfer Outlook 2010 items to another computer or to make a backup. Folder properties such as permissions and views are not preserved when you export to an Outlook Data File (.pst). Only the content itself is exported. NOTE The Import and Export Wizard can also be opened by clicking the File tab, clicking Open, and then clicking Import. Click Export to a file, and then click Next. Select the account — a top level folder — that you want to export. This enables exporting all mail, calendar, contacts, tasks, and notes if available for that account. NOTE Only information for one account can be exported information at a time. 8. Make sure that the Include subfolders check box is selected. Click Browse to select where you want to save the Outlook Data File (.pst) and to enter a file name. Click OK to continue. 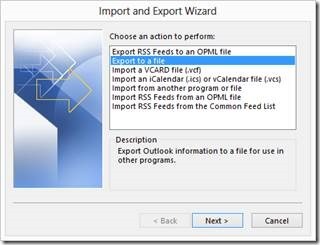 NOTE If you have previously used the export feature, the previous folder location and file name appear. Make sure that you change the file name if you want to create a new file instead of using the existing file. The export begins immediately unless a new Outlook Data File (.pst) is created or the export is to an existing file that is password protected. 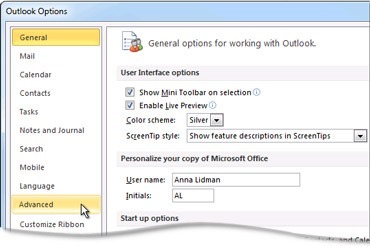 If you are creating a new Outlook Data File (.pst), an optional password can help protect the file. When the Create Outlook Data File dialog box appears, enter the password in the Password and Verify Password boxes, and then click OK. 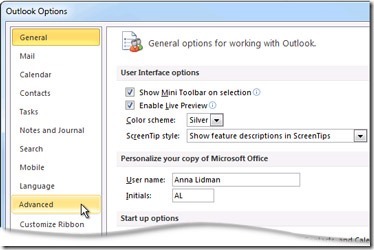 In the Outlook Data File Password dialog box, enter the password, and then click OK. 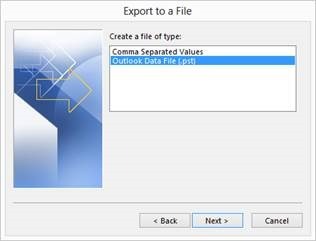 If you are exporting to an existing Outlook Data File (.pst) that is password protected, in the Outlook Data File Password dialog box, enter the password, and then click OK. 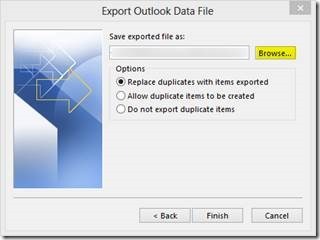 If you want to export items for multiple accounts, repeat these steps for each account.